Get 40% off Ableton Live 10 Standard or Suite! Interested in Live 10 Standard or Suite? Good on yah! You won’t regret it. But before you do you’ll want to read on below. We’ve got a SWEET deal for ya! (View a detailed comparison of Suite & Standard here. 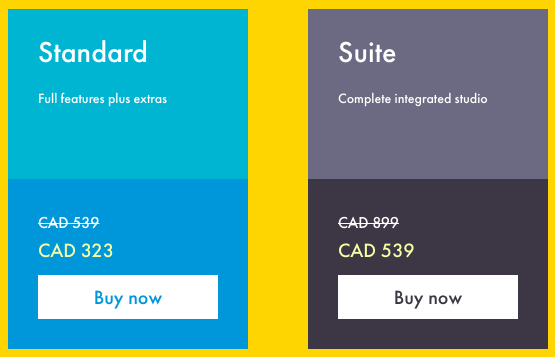 )*Canadian residents pay the same prices shown but in CAD dollars. If you already own Live you’re automatically eligible for discounted upgrade pricing. The Ableton shop will calculate your personal upgrade options based on the Live license registered in your account. Educational licenses can also be upgraded, however they do not offer an educational discount on upgrade prices. Check your upgrade price by logging in here. Ok let’s do it! …….. What do I do? Take a screenshot image of the receipt we email you OR when logged in click on My Account in the top right-hand menu of Warp Academy, and then scroll down to ‘Recent Orders’, on the My Account page, click on your order number and take a screenshot of the full invoice. Our ninja support team would be absolutely stoked to help answer any questions you still may have. Send them a message here.